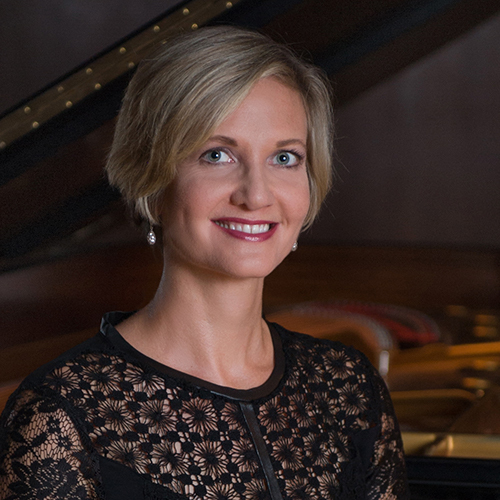 Lesley McAllister is Associate Professor of Piano and Director of Piano Pedagogy at Baylor University in Waco, Texas. In addition to teaching piano pedagogy, she also teaches courses on performer wellness and class piano, and directs the Piano Laboratory Program for children in the community. Dr. McAllister holds degrees from the University of Houston, Florida State University, and the University of Oklahoma. The former chair of the editorial board for the MTNA E-Journal, her research interests include imagery, mind-body relaxation techniques for performance anxiety, mental rehearsal, and yoga for musicians. An active clinician, she has presented at such national conferences as the the Music Teachers National Association, National Conference on Keyboard Pedagogy, Group Piano and Piano Pedagogy (GP3) Forum, and the College Music Society, as well as the International Society of Music Educators international conference. Published several times inAmerican Music Teacher, she was awarded the 2010 “Article of the Year" award by the Music Teachers National Association. She has also been published in Clavier Companion, Piano Pedagogy Forum, and the MTNA E-Journal. The author of The Balanced Musician: Integrating Mind and Body for Peak Performance, her upcoming book, Yoga in the Music Studio, will be published by Oxford Press with a release date of fall 2019.